Axe Edge is a long drag from the spa town of Buxton to the top of Axe Edge Moor. 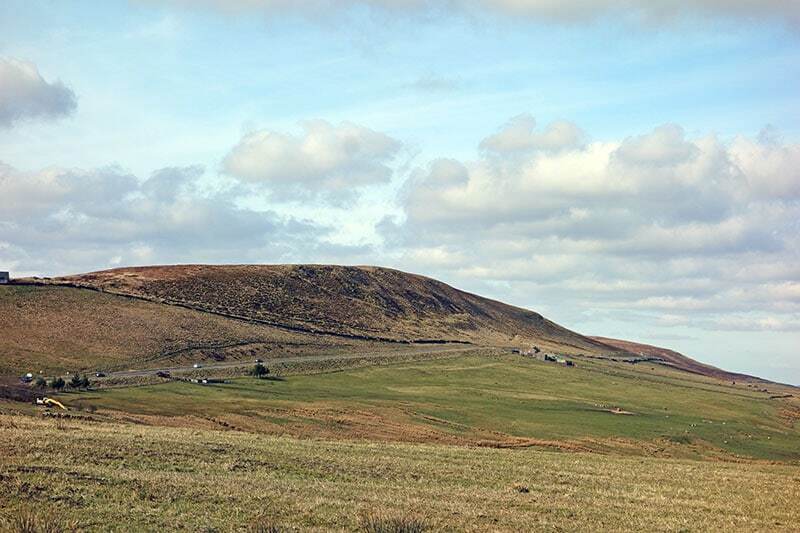 It climbs to other 500m in altitude and offers good views across the Peak District. The climb proper starts in Buxton, but there are a couple of traffic lights, so the most useful starting point is on the A53 after the last set of traffic lights in Burbage. You will see right forks to the A54 and Macclesfield. The Cat and Fiddle is nearby. The road then climbs remorselessly up the side of the hill. It is never really steep, but keeps a relatively steady average gradient. It is hardest in the middle of the climb, where it gets upto 10%, then it tails off, with gradual ascent to the finish. Near the top there is a false flat, before a final climb to the top of the climb. The climb is fairly exposed so if the wind is in the wrong direction, that can become as difficult as the gradient. I rode Axe Edge after doing the Buxton Mountain Time Trial. 33 miles with 1,100 miles of climbing. The circuit joins the A53 just after the top of Axe Edge. After the race I cycled to Buxton and looked for the A53 heading south towards Leek. I can’t say I particularly enjoyed the climb. My legs were tired after race, I was on a time trial bike and there was a strong headwind up the climb. It was great weather and great views, but the legs felt dead. There are so many climbs in this part of the world, you are almost spoilt for choice. 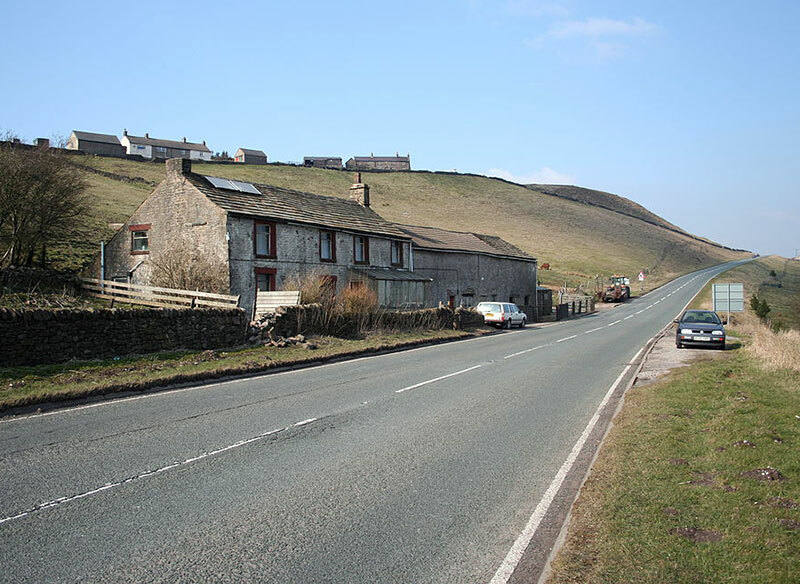 But, there is also Long Hill and the Cat and Fiddle nearby. The Cat and Fiddle climbs to the top of the same Axe Edge Moor. Axe Edge moor is the source of River Dove, River Manifold, River Dane, River Wye and River Goyt.